A unique and exciting opportunity for a suitably qualified candidate to join a growing school with a child centred ethos. This position is casual until the next round of PRT interviews in August. The position is 22 hours and is covering a career break . 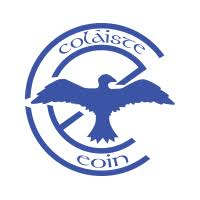 We are looking for a candidate with a love and genuine enthusiasm for their subjects and someone who will engage creatively and collaboratively with the teaching team in Colaiste Eoin. All vacancies are subject to the Directors of Redeployment agreeing to the posts being filled, following the completion of the 2018 Redeployment Scheme. All appointments must be approved by the CEO. All applicants must be currently registered with the Teaching Council of Ireland. An interest in Learning support would be of great benefit.